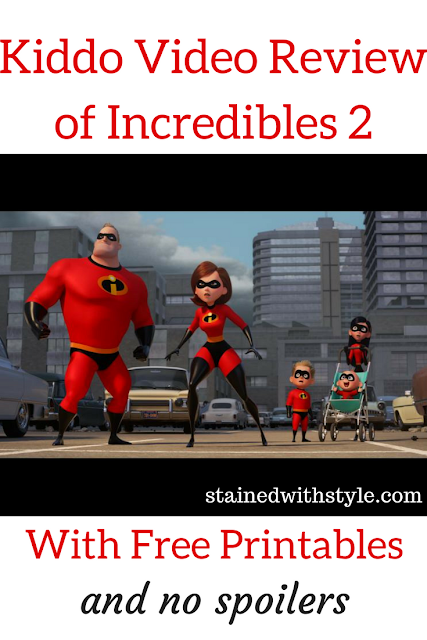 My eight year old saw the Incredibles 2, and she is sharing her thoughts! With fun printables! This movie was great. Laugh out loud funny. Great for kids. Due to some intense scenes, I wouldn't show it to the younger preschool aged kiddos. Unless of course they are action/adventure watchers. I would be remiss if I didn't mention Bao, the short that we saw directly before the Incredibles. It was so good. I can't wait to hear your thoughts! Run. Go. You won't be disappointed. I also have free printable coloring sheets!